Al Dailey is the new general manager of the County Times newspapers in southern Maryland. HOLLYWOOD, Md. 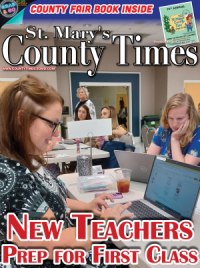 (August 10, 2017)—Al Dailey, who has 32 years of Southern Maryland media experience, has joined The County Times newspapers in St. Mary's and Calvert counties as General Manager. That experience includes 17 years as Associate Publisher of the Enterprise Newspaper, from 1999 to 2016. With the Enterprise, Dailey worked closely with the business community in St. Mary's and Calvert counties. He was active with the St. Mary's County Chamber of Commerce, having served on the board and being responsible for that organization's poplar annual membership directory. "I have admired the McKay family businesses for years from a distance," Dailey said. "It is tough to compete against the big boxes, but the McKay's have done it successfully." The County Times was founded by James Manning McKay, who started the family grocery business along with his wife Marilyn. McKay's son Tommy now serves as president of the family business and he and grandson Eric serve as publisher and associate publisher of the newspapers. Dailey vividly remembers the Chamber of Commerce annual meeting at the former Evans Seafood on St. George's Island at which James Manning McKay was honored as businessperson of the year. Dailey is excited about the community newspaper business, which he describes as being a "hyper-local" media. "People want to know what is happening in their backyards," he said. He added that because of that, community newspapers are doing better than daily newspapers, which also have the added burden of the costs of daily distribution. Dailey's first job in Southern Maryland was as a weekend fill-in disk jockey at WPTX-AM in Lexington Park. He quickly moved into the morning announcer role at its sister station, WMDM-FM when local legend, the late Gary Beavin left to work for the then Bell Motor Company. 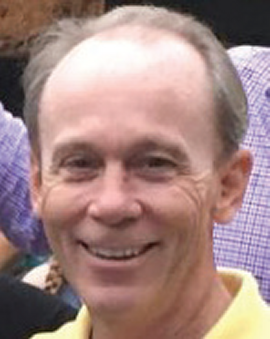 Dailey moved to an Annapolis station for a few years and then returned to WPTX/WMDM as general manager. He explained that he spent most of the 1980's in the radio business and most of the 1990's as general manager and partner of Cable Channel 10 in St. Mary's County. Dailey is especially happy to be back in the area where he has worked so long and knows so many people. He started at the County Times newspapers as general manager on July 31. 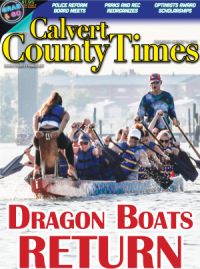 For more local stories from the County Times newspapers, visit ct.somd.com or find a copy on local news stands.